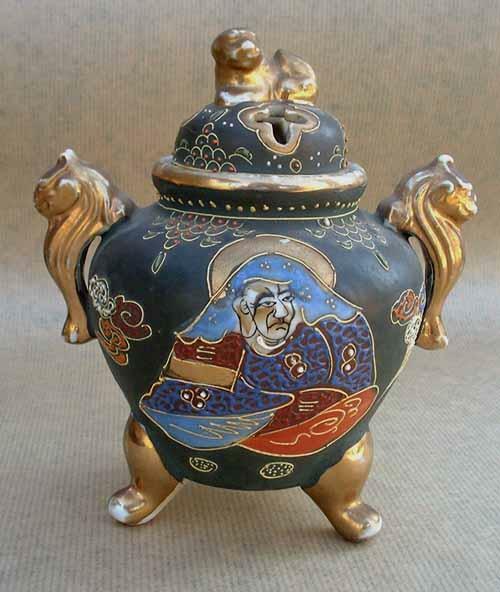 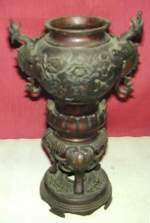 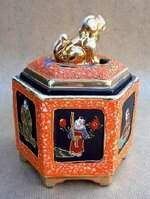 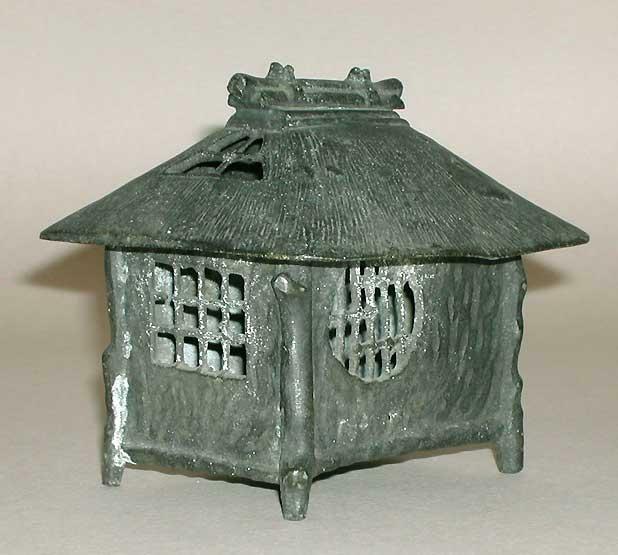 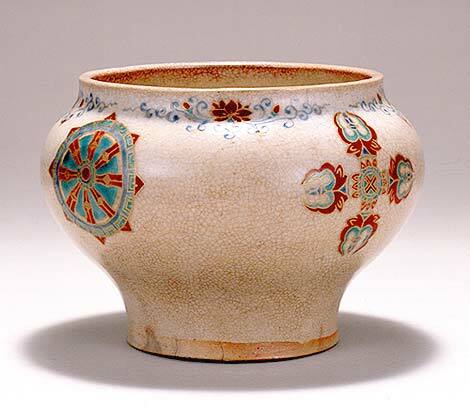 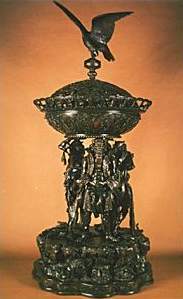 Description: Hagi Kiku Incense Burner- Sakata Deika Kiln. 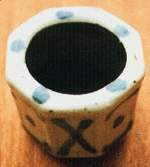 The hakogaki(signed box) here says, Hagi Kiku Koro, Deika-gama zo or A Chrysanthemum Hagi Incense Burner by the Deika kiln. 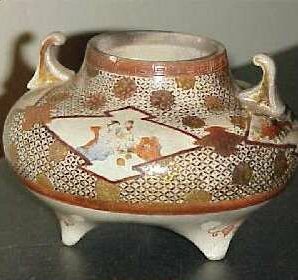 Designed and supervised by Deika, this piece was made by his apprentice(possibly his son, the next Deika or an unknown master craftsman) and has a delightful light tangerine colored glaze over very refined clay. 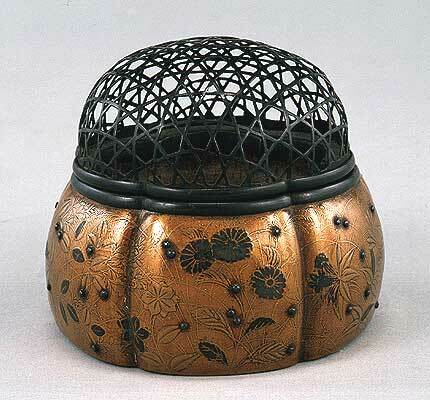 The lid has openwork in festive circular patterns. 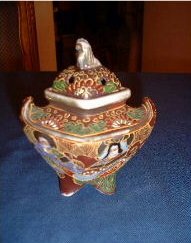 Quite sturdy resting on three small feet. 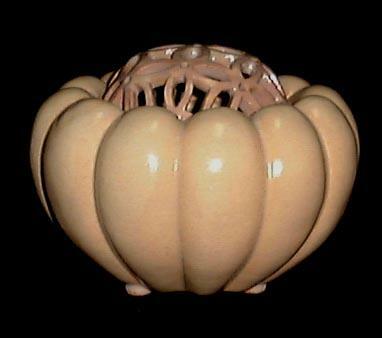 The shape and color also resemble a pumpkin. 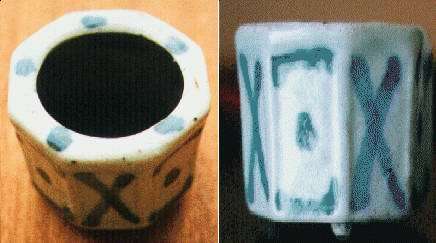 Stamped on bottom Deika-gama. 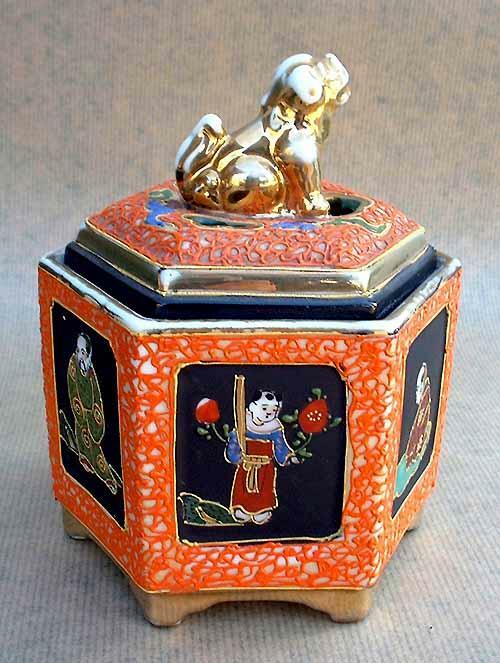 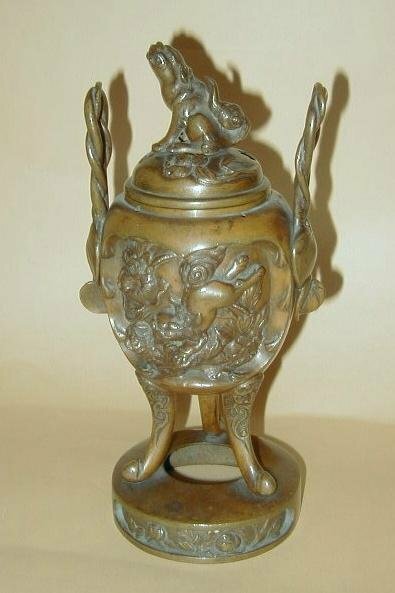 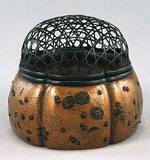 Description: Melon-shaped incense burner with design of autumn grasses in maki-e.
Maki-e is Japanese lacquer sprinkled with gold or silver powder as a decoration using a makizutsu or a kebo brush.